It is good to be back! Bart and I are speaking in Wellsboro today but spent a night in Woolrich. 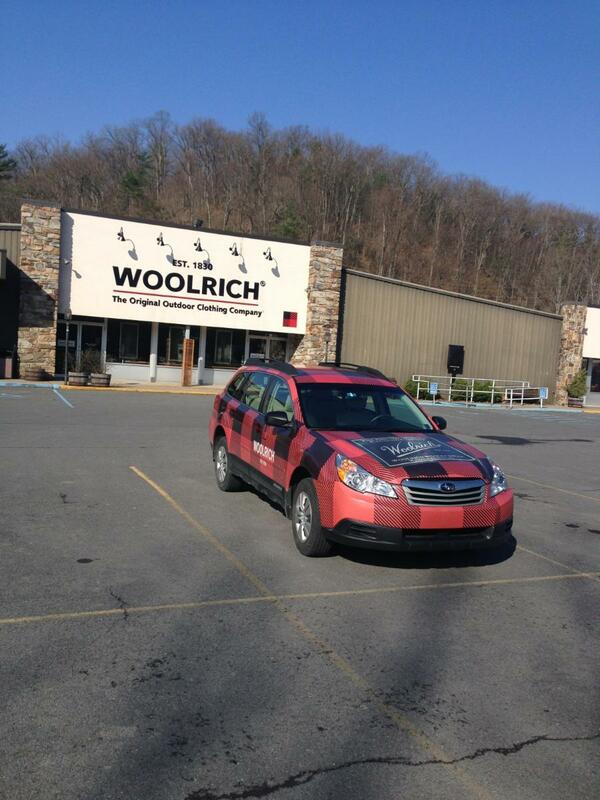 We had to get up the road before the store opened but we really appreciate their Woolrich car. Bart says, "It's bad to be plaid!" That's a compliment.